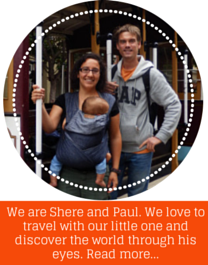 When you have a baby everyone tells you that you aren’t free to travel. They will advise you to wait some years before you can go on one of the holidays of your bucket list. Well, don’t listen to them! YOU CAN FLY WITH YOUR KID(S) AND HAVE FUN! 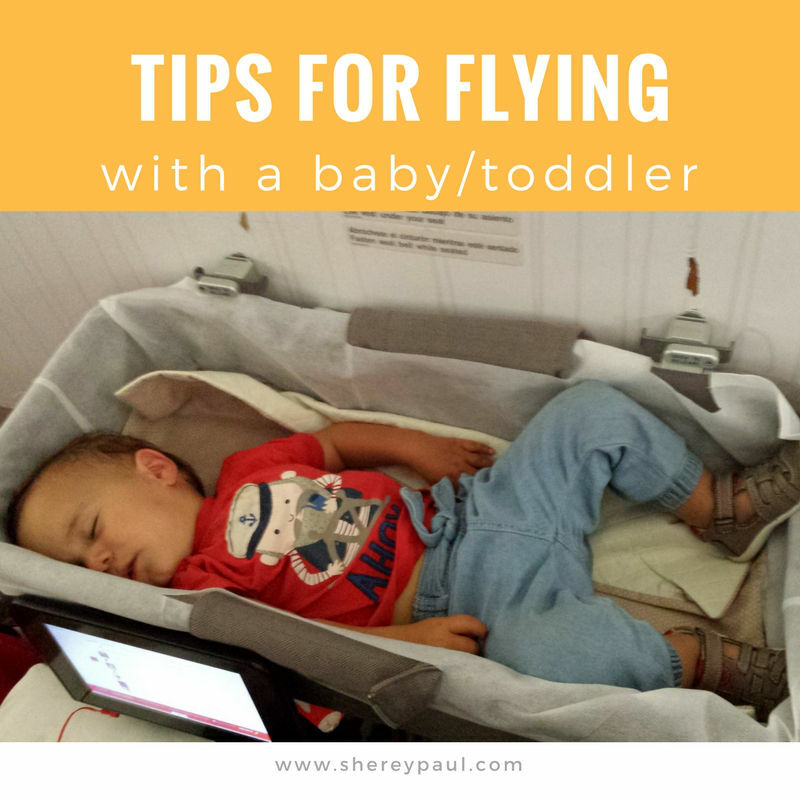 Read my tips for flying on a baby and discover how! Our oldest is now three and half years old and has been at least 30 times in an airplane. From those times, four were a long-haul: Amsterdam – London – San Francisco, L.A. – London – Amsterdam, Amsterdam – Madrid – San José and San José – Madrid – Amsterdam). Our youngest was just four weeks old the first time he was in an airplane. He has now flown six times. From those six times, four times was just the two kids and me, so I also have experience in flying with children alone. One time we even had a delay of more than three hours. In these three years, I have learned that flying with a baby gets easier with the time. Well, until you have a second baby and then you start all over again 🙂 This is the reason, I have written different posts according to their age. I found relatively easy to fly with our newborn. On one hand, newborns sleep frequently and most probably also during the flights. If they are breastfed, you don’t need any extra food or bottles. On the other hand, they have to be changed often and the “poop accidents” are frequent. Click on the image below or here to open all tips for flying with a baby up to 6 months. From 6 months onward the “bobbies” aren’t enough and you will need to take additional food and drink on the airplane (which can deliver some stress at the security check), also your baby will be awake most of the time and willing to play, crawl and take things. Clik on tips for flying with a 6 to 12 months baby or on the image below to read them. Probably this is the hardest time when flying with a baby. There isn’t so much space for the two of you in the airplane, he doesn’t want to sit down and he finds difficult to sleep in the airplane. Well, there’s some tricks to make it easier. 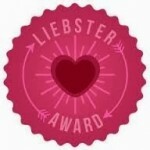 Congratulations!! Your baby is now a toddler and he has his own seat in the airplane. From now onwards, the flights should be easy. Oh, wait!!! He just started the “endless no’s phase” 😀 I also have some tips for when he doesn’t want to board the airplane because it isn’t blue. Do you want more tips and tricks? Subscribe to our newsletter! Hi! Very helpful tips thanks! Just curious about the baby airbed, what brand is it?